Corporate Wellness HQ is our Workplace Wellness division that solely concentrates on the health and wellbeing of your employees. PLEASE CLICK THROUGH TO OUR CORPORATE WELLNESS HQ PAGE FOR MORE INFORMATION. 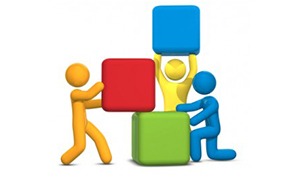 In developing an Active Workplace we focus on solutions to build a healthier workplace. 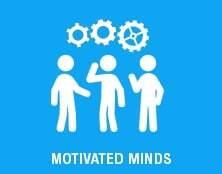 Our Motivated Minds solutions focus on stress management, motivation and healthy behaviours. 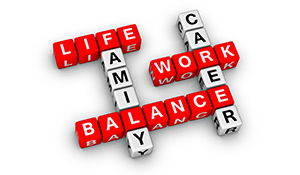 Designing a Work Life Balance is about health benefits, social support and healthy leadership. Better Outcomes to target the lifestyle factors that may impact your employee’s bodies. An increasing number of companies have come to understand the strong relationship between healthy employees and a healthy profit margin. Our team of highly skilled workplace health professionals work directly with your organisation to identify the factors that impact your people’s ability to contribute to your organisation. We have an experienced team of trainers that can come to your workplace and get your employees active and healthy through a wide range of services we provide. If your team needs that extra kick or something different to break up their day, take a look at what we can do for you with our Corporate Health & Wellness Programs. 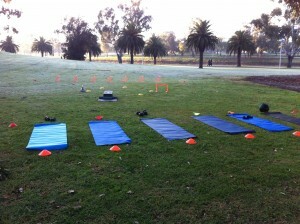 We can run sessions at your workplace, in a nearby park of your workplace our at our Ascot Vale Studio. Our trainer’s will bring all the equipment necessary or use your office gym if you have one. *We can also tailor sessions specifically to your workplace needs. We can help you create a healthier workforce with our workplace assessments and wellness solution designed to keep your workforce healthy, productive and engaged. Customise your own workplaces well being program. An employee benefits program will make a better working environment. Pick all or a few of our corporate options and speak to one of the MaxNRG Corporate Wellness Team to see how we can provide a program tailored to your needs. 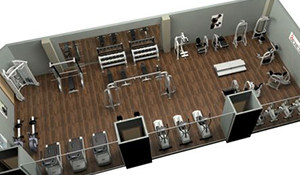 From the initial set up, health club floor design, equipment sourcing and ongoing management our team can provide a flexible solution to suit your workplaces needs. A survey conducted by Medibank Private (2005) found that in relation to Australian workers healthy employees are nearly three times more productive than employees with poor health. Although company productivity and creativity are difficult to measure, improved employee morale and productivity can largely impact the success of a business. 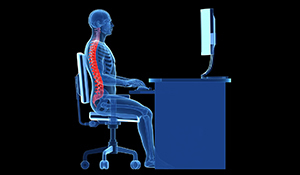 Reduce staff absenteeism from injuries and illness. Data collected by the Australian bureau of statistics shows that absenteeism costs Australian employers billions of dollars each year. It was also shown that a healthier employee spends fewer days away from work due to illness/injury. The direct costs of hiring replacement staff can be physically estimated, however the indirect costs can often go unnoticed. 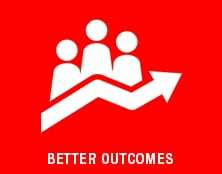 Unplanned sick days by staff cause delays in project completion, increased stress on co-workers that must take on extra responsibilities as well as the ineffectiveness of a temporary replacement which will inevitably generate a reduction in corporate profits and success. 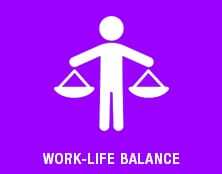 This is a new trend whereby employees who turn up for work fail to demonstrate the level of productivity expected and required by the company due to stress, injury or illness. There is no doubt that employee turnover is expensive! A great way to promote employee retention is a corporate fitness program as it sends a clear message to employees that the senior staff and management team value their well-being. According to the Equal Opportunity for Women in the Workplace Agency (2002), it costs $150,000-200,000 to replace a lawyer, while for a bank teller it’s $30,000. Given the costs associated with high staff turnover, the loss of intellectual property and the induction costs and time associated with replacing staff it is not surprising that employers are looking to corporate health and fitness to not only attract staff, but to keep them for as long as possible. Businesses that provide corporate fitness programs demonstrate to their employees that they care about their staff’s health and well-being which will set them apart from competing organisations. A strong corporate image can increase staff retention and enhance the appeal of the organisation as a place to work. With obesity at an all-time high and a growing number of consumers interested in health and fitness, corporations that offer employee fitness programs will reap the proven benefits of this growing market trend. Healthy employees generally possess fewer risk factors for disease and illness and have a lower risk of injury thus costing their employer less. 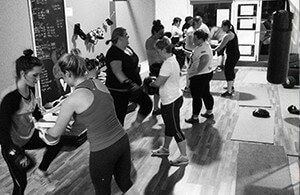 Group exercise and fitness classes are a fantastic way to create and maintain a healthy workplace that encounters fewer medical costs that often consume corporate profits and employee pay checks. Companies cannot survive by competing for skilled employees on the basis of salary alone. Employee benefits such as a health and fitness program are a very effective way to add value to your employees. If an employee receives a pay rise of $1000 per year, this increase would not be viewed significant at all for medium to high income earners. It would work out to be less than $20 per week extra before tax. But a $1000 investment into an employees health and well-being through a corporate fitness program would provide a great number of mental and physical benefits across the entire year and re-enforce your organisations corporate image to current and future staff. 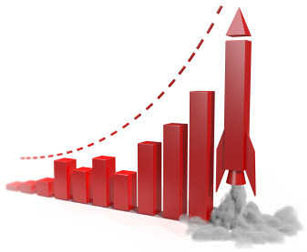 A recent review of corporate health and fitness programs found a significant return on investment (ROI) with a benefit-to-cost ratio ranging from $1.49 to $4.91 in benefits for every dollar spent on the programs. 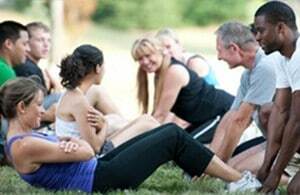 Our Melbourne Corporate Fitness Programs Will Provide You With All This And Much, Much More. The research is unanimous—poor health and physical inactivity is impacting on company profits and productivity. Businesses who view corporate fitness training as an investment rather than a cost realise and maintain greater success. We believe that every organisation large or small should include fitness as part of their workplace culture with the aims of improving staff morale, motivation and team work as well as to promote reward and recognition. Our programs are designed to meet the specific needs of each organisation and we achieve this by customizing the exercise program to the location, team building requirements, company goals and the individual fitness levels of each employee. For every client our primary goal at MaxNRG is to provide a safe, affordable and fun atmosphere for their staff members to enjoy a challenging workout which generates a healthier attitude to life that can be translated into their workplace. Our MaxNRG corporate fitness program ensure to shift your staff out of their chairs and into shape! 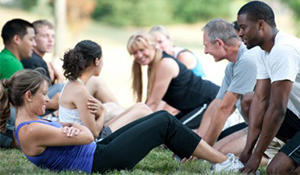 Increase the morale and productivity of your staff by beginning a corporate fitness program. Our corporate fitness programs can include private 1 on 1 consultations, group exercise sessions, boot camp programs, education on nutrition and guidance with healthy food plans as well as ongoing fitness appraisals and assessments. Most importantly at MaxNRG we guarantee that our Corporate Fitness Packages are flexible and adaptable to both your organization and employees needs. By tailoring the exercise program to your company’s specific needs we are able to provide you with an opportunity to improve your workplace that is both effective and affordable. Where would your business be without the talented people who run it? Behind every successful business is the hard working loyal employees who work within it. In recent times employee well-being has become well recognised for its role in a company’s success thus today a number of businesses are seeking ways to maximise each employee’s personal health. One of the more popular and recent avenues for improving employee job satisfaction is Corporate Health and Fitness Programs that aim to increase each staff members quality of life. We work with you to develop a new or revised health and wellness program for your business that can incorporate existing and include new initiatives to help increase understanding, participation and impact in your workplace. At MaxNRG Personal Training we aim to assist you and your organisation to implement meaningful and measurable wellness initiatives across all levels of the business. When you see these results, you have to ask yourself, how much is this costing your company’s bottom line? So, if you want fit, healthy, happy, productive employees that work effectively as a team, introduce corporate fitness activities into your organisation. Contact MaxNRG Personal Training today to discuss options.